During the Spring Term, we will be learning about Victorian Britain. Through exploring artefacts, enjoying our Victorian school role play area and learning about significant people and events, we will be experts by the time we visit Blists Hill on March 14th! The children have loved learning about Queen Victoria, Prince Albert, Van Gogh, William Morris and Florence Nightingale during this topic. They have also read Oliver Twist and explored lots of the themes within this story. It has been wonderful to see how much this history topic has inspired them! Throughout the Autumn Term, Year 2 will be exploring Journeys! From the journeys that we make everyday around Perton, to journeys we could only ever imagine, we will enjoy learning about transport, maps and a range of different settings and locations! We are currently learning about journeys to Space. 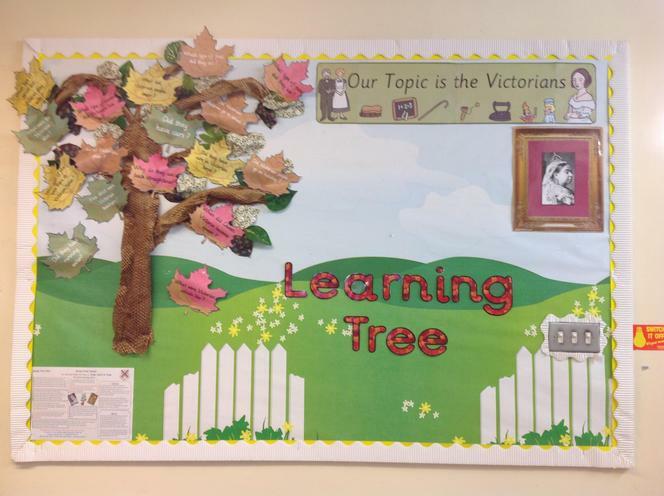 At the start of a new topic, we think about the things that we would like to learn and put them on the Learning Tree. What was your question? Have you learned the answer yet?